I made a little movie, jumping on the bandwagon here, have you seen all the FUNNY movies floating around Facebook??? There is one about a Marathoner, Iron Man, Mom Runner and SUAR (Shut Up and Run) humor..
Making this was more to amuse myself than anything..but hey don't we ALL have a similar form of internal dialogue some days?? I dusted off my Giveaway/Review Blog and posted a new Weekly edition I call "Windows Shopping Wednesday" go check it out HERE and let me know if you like the idea. Today- 7 mile lunch run. I am planning to try Half Marathon Pace to see where I am at fitness wise.. Will let you know how that goes tomorrow. Look for a GIVEAWAY tomorrow too..
very funny....my fav line, "i have cramps"! You are great!! I hate it when I drop my deoderant and it shatters!! But on a good note, at least I had it with me... Very funny and yes, pretty sure we have all had a similar conversations!! Have a good 7 mile run!! Funny! I had a similar convo with myself last night! Only my headband was pink and black haha. Hope your run goes great at lunch! 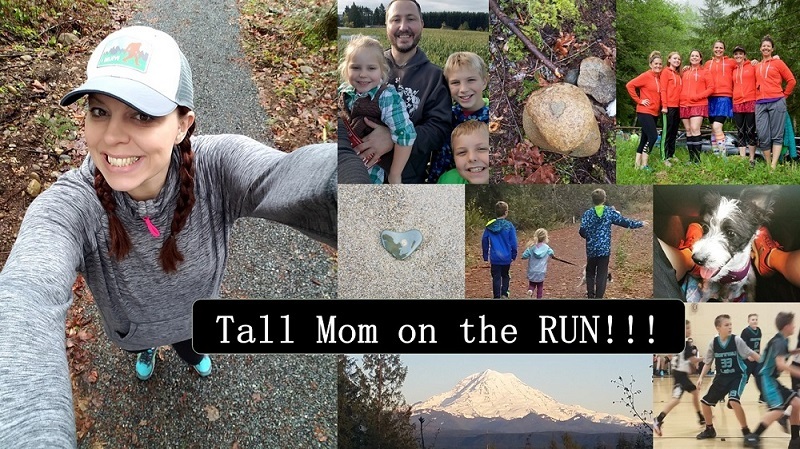 It must be so wonderful to be able to get out and get a run in to break up your day and also not take away from family time when you get home from your big girl job! Hope your legs are light as a feather and you are able to keep 1/2 pace! I love your video. Too bad I usually just have those kind of conversations with myself :) I hate it when I drop my deodorant. I have a giveaway for High Five Friday too. Allied Steel Medal Display. Check out the one Joel made me. I love it!!! that's why I use gel deodorant! cute video! Wow. So funny and so true. I love my lunchtime runs but I do have to prepare myself for a sweaty afternoon afterward. Great job on the video. I wish I had time to run 7 miles at lunch; I can squeak in 5, but that's it. However, I love those 5! I love those funny little movies. I'm so glad you got to enjoy the sun with your family yesterday!! The deodorant thing CRACKED ME UP! Love the video! Who hasn't had that deodorant problem!?! I have! Hope the run went well today! Love the little movie!! I think we all have those conversations and make excuses on why we don't want to run! Hahahahaha never heard or used the deodorant excuse, but seriously funny stuff!!! Yay for running with the family!